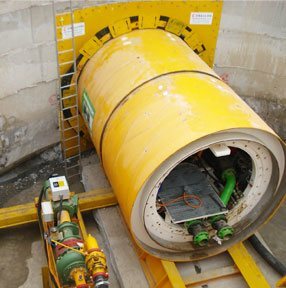 Microtunnelling is a non-disruptive method of installing pipelines in the range of 150mm to 3000mm by remote controlled, loser guided mechanically excavating Tunnel Boring Machines. Drillcon employ equipment manufactured by the German Company, Herrenknecht A.G. exclusively in order to guarantee and maintain the highest standards and performance in the industry. Micro-Tunnel Boring Machines (TBM’s) are designed to install pipelines at depth without disturbing the ground surface, roads or existing utility services. They can bore in all types of soil including sands, silts, rock, clay and gravel at depths generally up to 50 metres below water table. 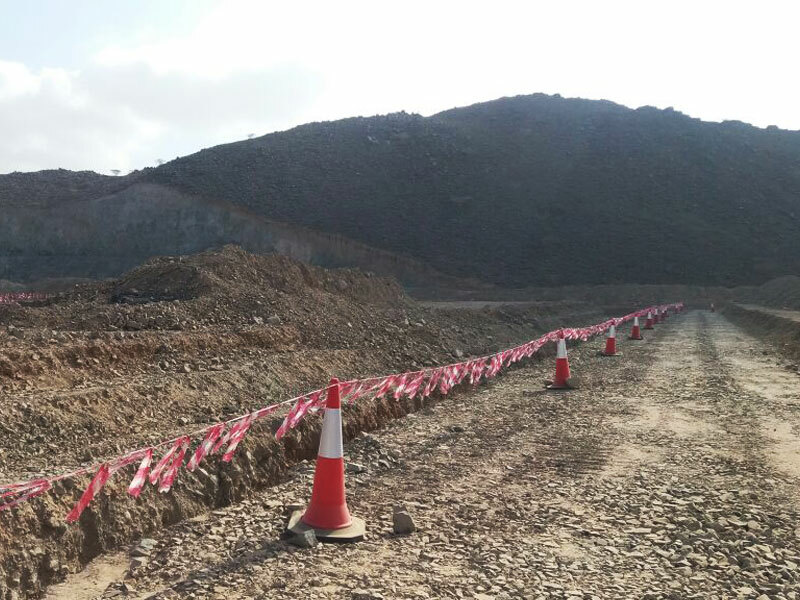 The head of TBM has cutters to break down the soil/rock into manageable pieces, a crusher core to further decrease particle size, it can be essentially closed to support silts or quite open for rock excavation. The outside of the head/shield supports the ground being cut. Inside the head is a controlled variable supply of ‘clean’ water that removes cuttings as slurry. For ‘sticky’ ground removal and head cleaning there are also high pressure jets. The head/shield is pushed into the ground by thrust from jacks in a launch shaft acting through the pipes bearing installed. TBM’s are steerable and line & level are controlled/monitored by laser level located in launch shaft. Hence pipelines in the range of 250mm to 3 metres can be installed to an accuracy of ± 20mm of level and line over distances of 100 metres normally or up to 500 metres with interjacks.